I was asked today if Mom's Carelink would be interested in providing financial support in some way so that two single moms from First MB could attend this conference in a few weeks. We all know how much energy it takes to be mom to our children and can only imagine the increased responsibilities and stresses if we had to do it alone. This is a rare chance for these moms to spend a night away and be encouraged on their journey of single-parenting. 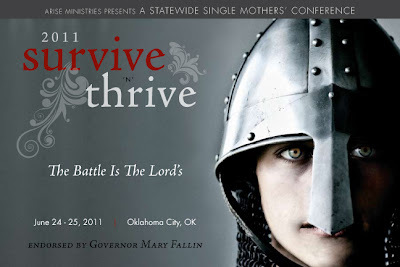 If you feel led to give a donation toward the lodging and travel expenses for these women to attend the conference, please call Jana H. at the church office or place a check in the offering in the next week or two with the notation, "single moms conference". This is just a small way we can be a blessing and strengthen the faith of our sisters in Christ!